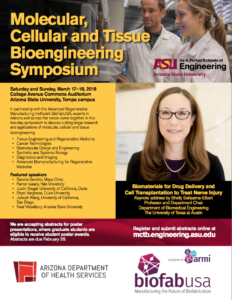 Registration for the Third Annual Molecular, Cellular and Tissue Bioengineering Symposium is now open! And advanced biomanufacturing for regenerative medicine. 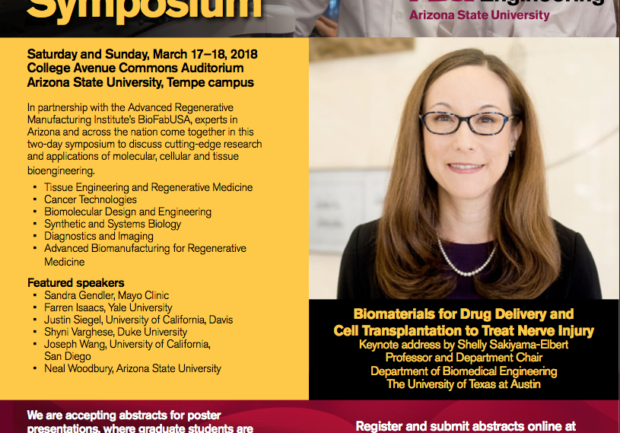 Submit your one-page abstract for the poster sessions by Wednesday, February 28, 2018, at 5 p.m.! Graduate students and postdoctoral fellows will be eligible for student poster awards. Contact limited.submissions@asu.edu if you need assistance creating an account.